One of the hardest things to do when you’re starting a business is to get that first customer. Nobody wants to hire you without a portfolio, but you can’t build a portfolio without clients. So what do you do? Especially in creative industries, people hire you based off of the body of work that you have, so today, we’ll get into effective strategies for building a portfolio when you first start out. These are the same strategies we used to build our portfolio and land our first clients. If you want to do something, then just start doing it! If you’re a photographer, start taking pictures. If you’re a writer, start a blog and write daily. Another tip would be to find blogs that accept guest posts and write for them. If you’re a graphic designer, make mockups of work for fake companies. When you are just getting started, you need the practice. You don’t have the work experience yet, so you need to hone in on your skills and figure out your process. This will also give you pieces to show people that potentially would hire you. The second thing you’ll want to do is ask your family and friends for help. Let them know you are starting a business and need to build a portfolio, then offer to do the work for free. In most cases, they will be more than happy to support you. Treat the work you do for family and friends the same way you would treat a paying client. Write up a contract, set terms and be professional. If you act as if you’re getting paid, it will be good practice for when you actually DO get paid. You may need to work out some kinks in your contract or process and your family and friends are generally more forgiving than a paying client would be. If you do the first two things mentioned, you’ll wind up with a decent body of work. Now it’s time to start getting paid! A great place to start looking for those paying clients is by joining local networking groups. Attend their events and offer your services at a discounted rate for members. These are just a few ideas, but get to know the person in charge and offer to help. This is the fastest way to get in front of professional people and get your name out there. When you start working with these people, they will refer you to other people in other networks. Before you know it, you’ll be getting jobs regularly! Start sharing your work on social media and your website and offer exclusive discounts to your followers. Create Facebook only discounts, Instagram promos or landing pages on your website. The key is to start communicating with your followers regularly so that they know what you have going on. They may not need your services right now, but if they follow you, there is a good possibility they will at some point. They also might know somebody that could benefit from your services and share your information. 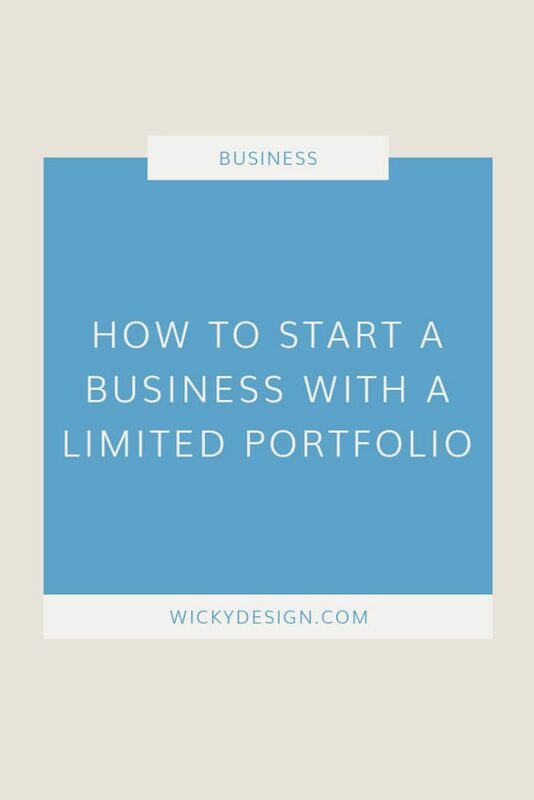 Building a portfolio when you are just starting out in business can definitely be hard and a little frustrating, but it’s not impossible. If you follow the steps above, you’ll be on your way to a solid portfolio of work and lots of paying clients.